Some people like to open a window or turn off the heat in the bedroom before snuggling up under the covers when going to bed in the winter. What if you could take that sensation with you anywhere you went? 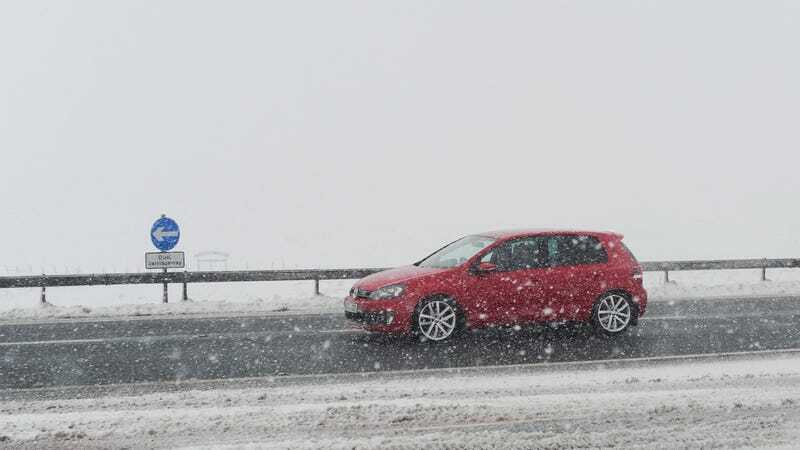 A common issue with driving in winter is the first ten minutes of freezing cold driving, a few minutes of warm satisfaction once the heat gets going, and then an endless torture chamber of too hot, too cold, too hot, and on and on. I discovered a pleasant solution to this years ago, as I’m sure many others have, which simply involves pointing the heat on blast at your feet and body, but cracking the windows of the car to let just an idea of that gentle winter air in. Not only does (I’m convinced) this help “pull” the warm air up across where you are sitting, as hot air rises and will be “sucked” out of the cracked window, but it also lets a little bit of cool air in to keep things from getting all moist and uncomfortable. Obviously there are some conditions involving rain, snow or ice that limit the opportunities to implement this tactic without getting messy, but it’s worth it when you can. This climate is just one of those inexplicable je ne sais quoi touches on life, that seems simple but elevates an otherwise often-uncomfortable situation into a pleasant experience. What should we call this? The crack and blast? I’ll leave the naming up to you.